Craig Belkin PT, CSCS is the Chief Physical Therapist and owner of Peak Physical Therapy. He specializes in the treatment of orthopedic and sports related injuries. 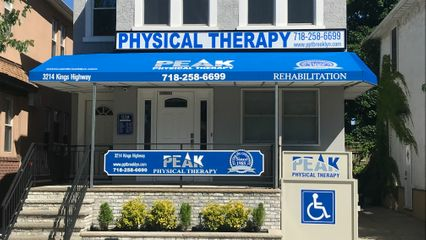 Craig has been licensed since 1999 and received his Bachelor of Science in Physical Therapy from SUNY-Downstate that same year. He is also a certified strength and conditioning specialist, a distinction he achieved in 2005. Craig Belkin is a member of APTA (American Physical Therapy Association), a member of Private Practice and Orthopedic Sections and as well as a member of the NSCA (National Strength and Conditioning Association). Craig was born and raised in Brooklyn and feels privileged to serve the community where he was raised and still lives. When not working Craig enjoys spending time with his family.